Enhance the beauty of your home, living room, bedroom, foyer, gallery or dinner area with beautiful and amazing home aquarium designs. Add instant charm, difference and beauty to your interiors of home design by just placing a home aquarium to the respective place. A wall aquarium or home aquarium with different kind of fishes is a stylish and impressive home decoration that can dramatically change your room decors effect. 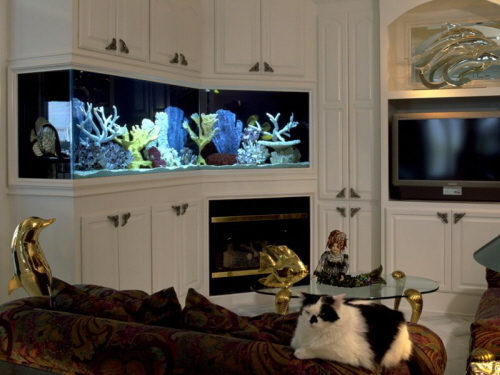 Aquarium style and size: Kind of aquarium which will suit up your present interiors room style, size and color. 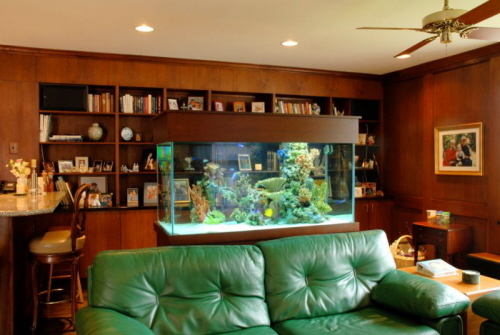 You may place independent aquarium on a wooden slap, furniture or marble counter. 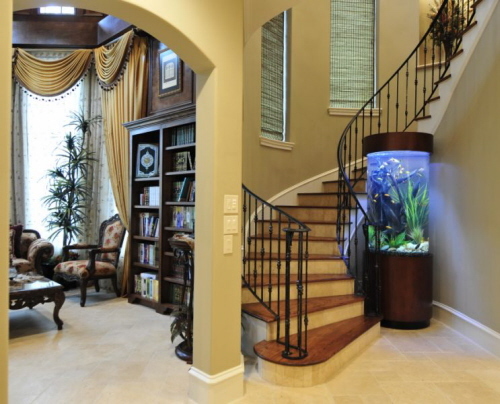 You might go up with wall aquarium matching up with your room design. 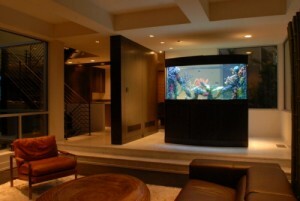 Big or small, aquarium directly effects to the room décor outcome. Placing of small aquarium in big space is a waste and on the other hand better to choose up a big aquarium for a big space. 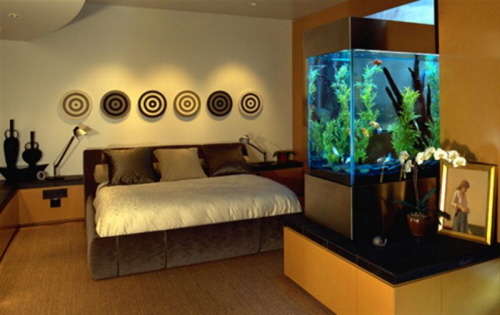 Plan up your room design ideas: Change in color or accessories may be required after the placement of home aquarium to any respective place. An aquarium basically emits blue tints and it gets up imposed on the whole area. Like placing an aquarium in the room which is red, orange, purple in color can ruin up your décor ideas. Better place an aquarium at the place which has white, blue, light yellow, green tints around. Find out the perfect place for big, medium and small tanks/jars : Placement of an aquarium matters the most. 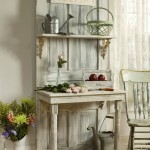 Accommodate it in a place which exposes your good sense of placement, designing and décor. 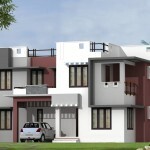 Design style of your interiors: Is it contemporary, eclectic, traditional or any other types. 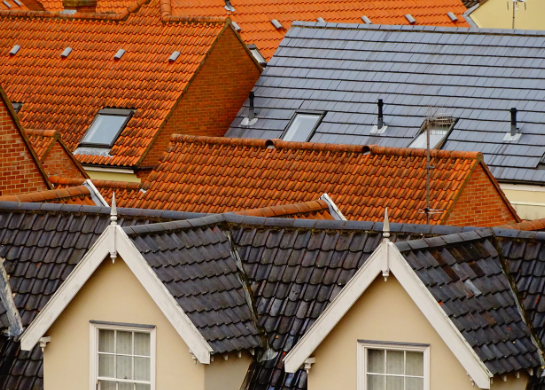 Room size and shape: Is it a normal room or a room with any kind of attic wall. Room with circular shapes requires cylindrical shaped home aquariums to match up well with over all decors and room pattern. 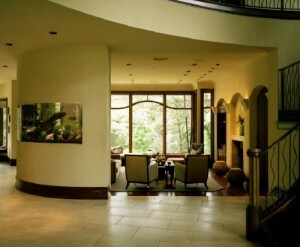 Purpose of the room – Is it a study, bedroom, living area or dining area. Overall furniture placement and furniture size. 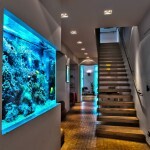 Aquarium lighting changes colors of walls and home furnishings. 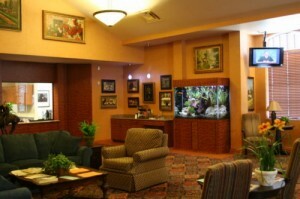 Colorful aquarium decoration can affect the room color scheme. The design style, shape and size of your aquarium should support your interior design style, enhancing it with eco-friendly decorating theme and creating harmonious, pleasant and relaxing environment. 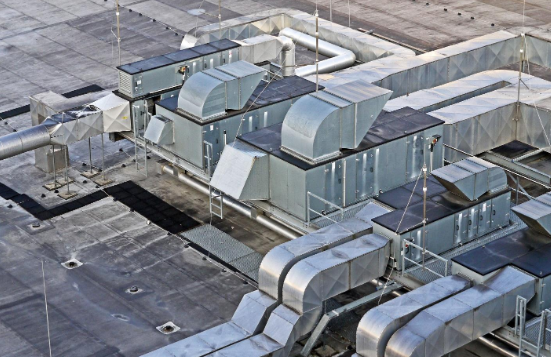 It shouldn’t sound as if it’s being imposed on the overall decors of the room. A home aquarium with fishes, water plants and corals is a home decorating which clicks right away. 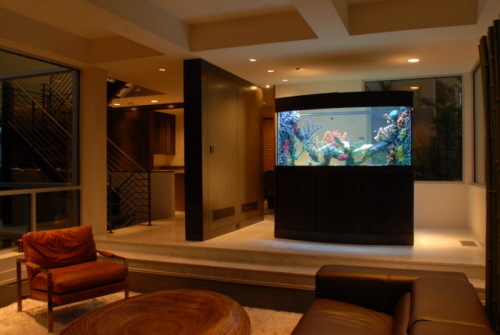 The aquarium tank style, custom made frames and placement of an aquarium tanks are important elements that create a focal point for your room and they define your designing sense and creativity. 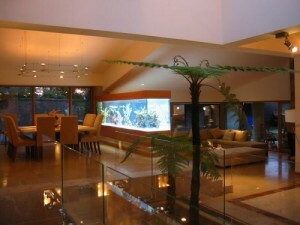 Let the walls, interior spaces of your home get some pleasure of fish, plants, water tank, light effects, corals, pebbles etc. Keep it different and unique for that “attractive factor” of design world.